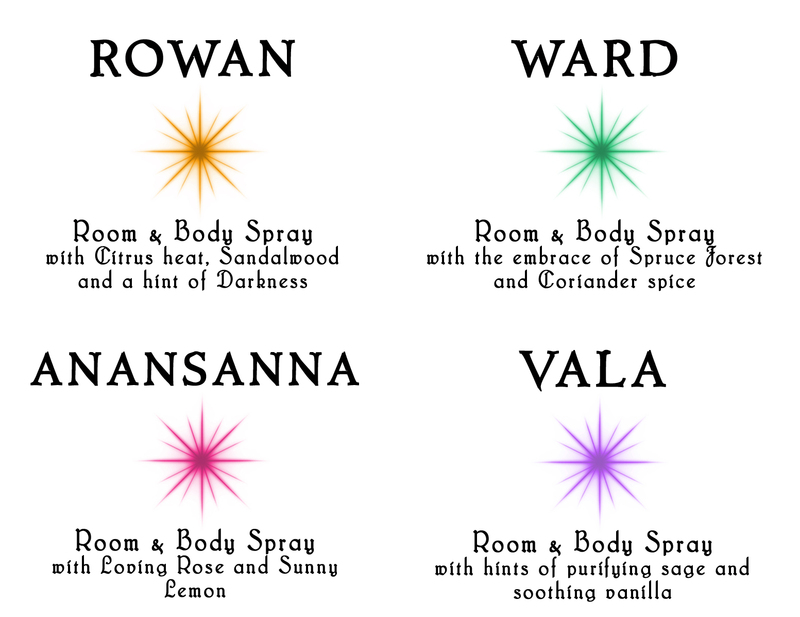 I am so excited about the upcoming release of The Warping, I decided to collaborate with the herbalists at Earth Lodge and come up with a set of 4 gorgeous scents, straight out of the world of the fae, to giveaway! Each room/body spray is made with pure, natural essential oils and comes in a delicious looking 4oz amethyst-colored spray bottle. At the end of the giveaway there will be FIVE lucky winners: One grand prize winner to win the entire Scents of Valhalla Room & Body Spray Collection (four bottles), and four first prize winners, each receiving one randomly selected scent from the collection. Please note, entrants must be 18 or older, and legal residents of the USA or Canada. At the same time I’m announcing the winners at beginning of June, I will ALSO be sending out free ARCs to all of you of The Warping – I hope you love Ana, Jules, Hollis & Khai as much as I do! If you have Amazon KU, you may also pre-order the book for free here (the official release is June 15th).